The Weekly Bouquet program is based on a successful model called “Community Supported Agriculture” (CSA). CSA farms form partnerships between themselves and a core group of community members. These members purchase an annual farm share in spring and receive a portion of the harvest weekly during the growing season. By providing the farmer with start-up capital in the spring, CSA members support local farms, preserve working farmland, and help create vibrant communities. We are offering shares of our bountiful flower harvests, so that you or someone you love may have a weekly bouquet of the finest fresh cut flowers. 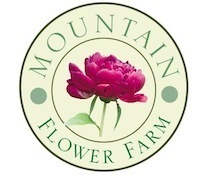 Each bouquet will be lovingly grown on our family farm in Vermont’s Mad River Valley. You’ll be getting #beyondorganic blooms that have been grown in a field where nurturing nature through biodiversity and sustainable practices is top priority. In addition to providing members with fabulous specialty cut flowers on a weekly basis, we are also fostering a connection to local sustainable agriculture. Allow us to invite you, each week, to experience the beauty, wellness, promise, and connection to nature that is held in a vase of blooming flowers. ***Pick up *** is Saturday (9am-1pm) at Waitsfield Farmer's Market or East Warren Community Market. Pick up begins May 18th - Sign up here, and we'll have your bouquets waiting for you! A quick look at our farm!